Day 1: Cheryl Angelelli - In 1983, 14-year-old Cheryl Angelelli was practicing a new dive with her YMCA swim team. 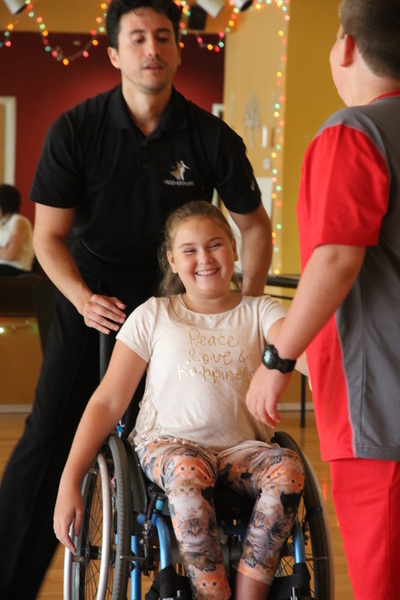 She hit the bottom of the pool and sustained a spinal cord injury that left her paralyzed from the waist down with limited use of her hands and legs. She spent five months at a rehabilitation hospital in Detroit where the staff treated not only the physical rehabilitation of her spinal cord injury, but helped her relearn everyday activities such as feeding herself, brushing her teeth, and getting dressed. Fast forward to 1996, Cheryl traveled to Atlanta as a writer assigned to cover the Paralympic games. Many of you may not know what the Paralympic games are, but you are familiar with the Olympic games. The week following the Olympic games thousands of Paralympic athletes enter the same stadium to the thundering cheers of thousands in the stands. These are athletes who have some type of physical disability, yet they train just as hard and are just as committed to their sport as the Olympians you watch on T.V.. The Paralympic athletes also compete in the same events and receive the same medals. In many countries the Paralympic games are just as popular on television as the Olympic games. Sadly, that is not the case "yet" in the United States. 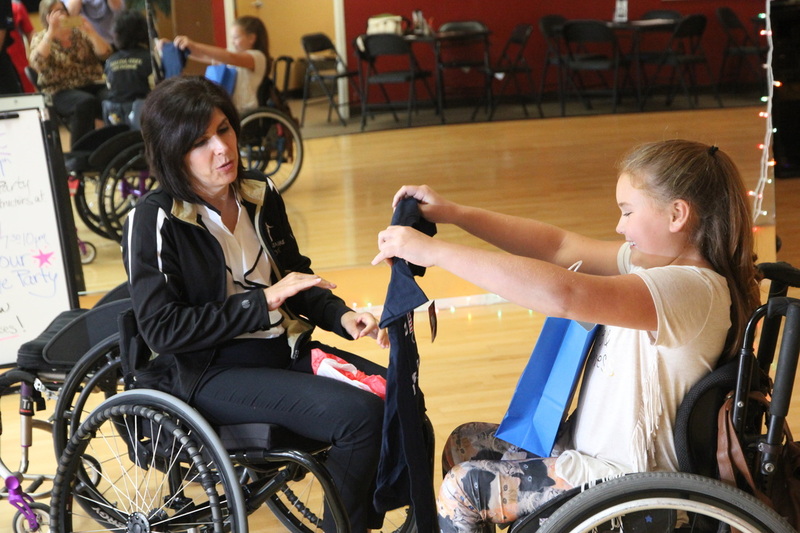 Cheryl watched the athletes with disabilities competing, especially the swimmers, and was inspired. "It was an amazing experience," she says. "I turned to my friend and said, ‘In four years, I want to be able to do this.' "
... and she did. Cheryl has competed in three Paralympics. In 2000, she competed for the U.S. team the same year in which she was inducted into the Michigan Athletes with Disabilities Hall of Fame. In 2004, she won two bronze medals in Athens. She then claimed two silver medals in 2008. "In 2000 at the Sydney Paralympics, it was my first Paralympics and everything was so new and exciting," Cheryl said of her first Paralympics. "One of the greatest memories was marching into the Olympic Stadium with the entire U.S. Delegation to the cheers of more than 100,000 people. It still gives me goose bumps. Although I didn't medal in Sydney, I came back with an even better prize. I met my husband in Sydney at the Paralympics." 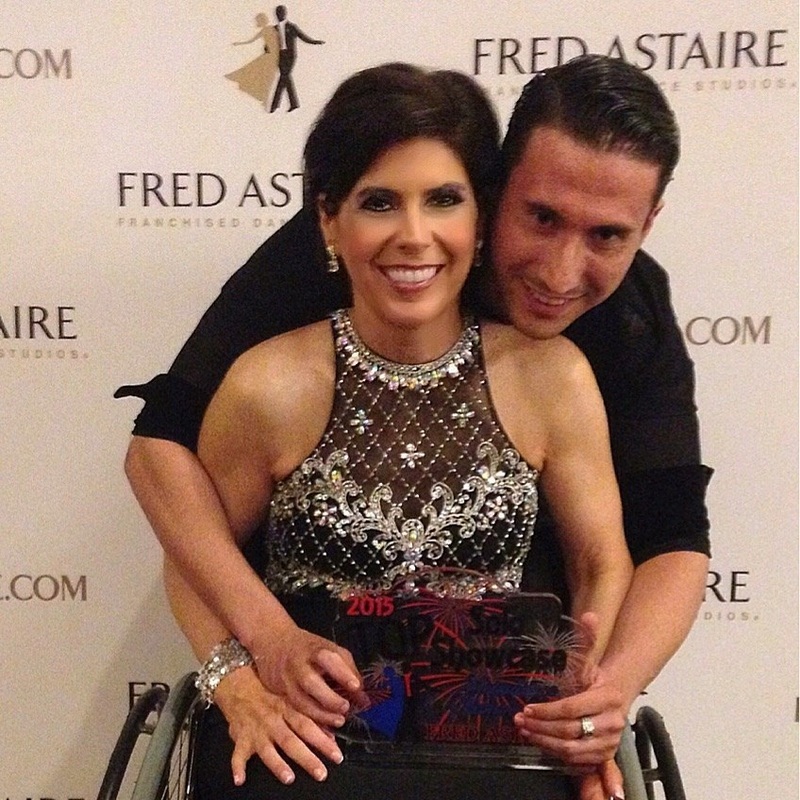 Cheryl's husband, Shawn, has been her coach since 2001. 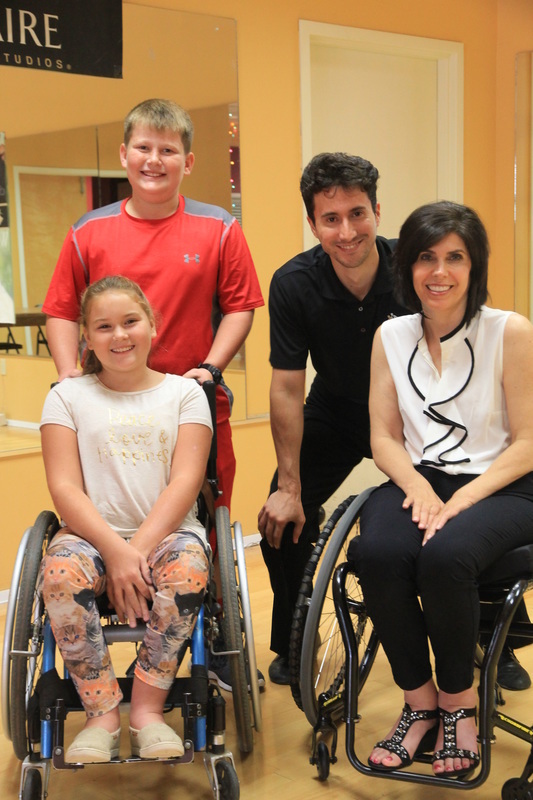 Four years later, Cheryl returned to the 2004 Athens Paralympics. "The 2004 Games in Athens were special because I finally reached my goal of standing on the podium at the Paralympics," Cheryl said. 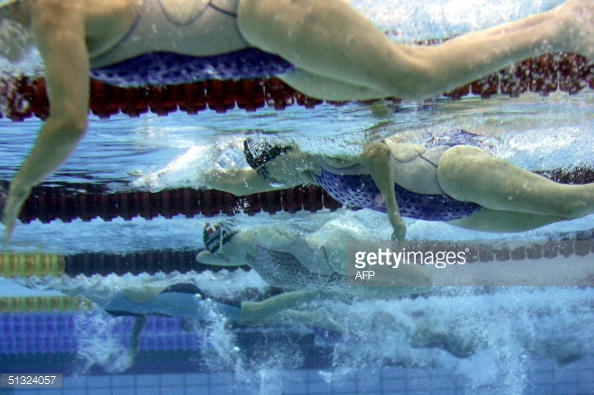 "I won 2 bronze medals in the 200 free and as a member of the women's 4×50 free relay. She continued training in the sport and made the 2008 Paralympic roster as a 40 year old, achieving her best meet yet. "The 2008 Games were also special especially since I didn't intend on being there," Cheryl said. "I retired from swimming after the 2004 Games and didn't swim for 2 years. I missed swimming and started training again in 2006. That year, I won 2 gold medals at World Championships and decided to make another Paralympic run, and it was a good decision. At age 40, I swam the fastest I have ever swum and won 2 silver medals. 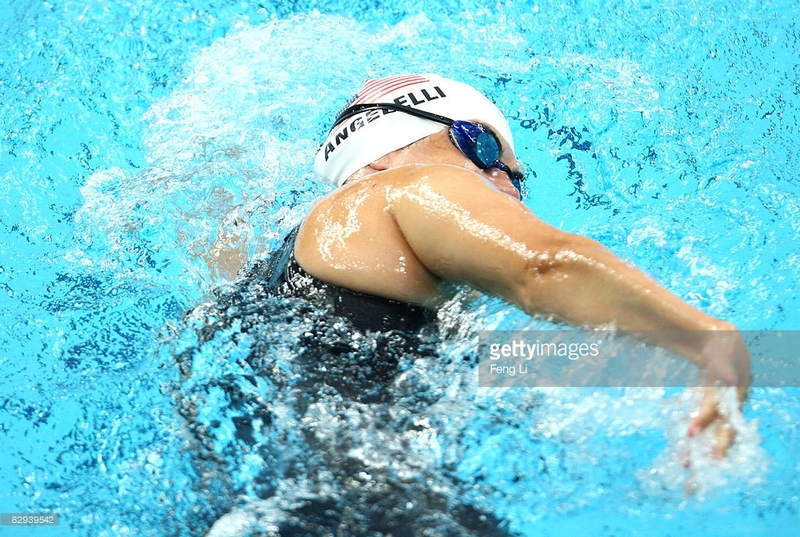 "Swimming is the sport that took away my life as I knew it in 1984, but swimming is also the sport that gave me back my life," Angelelli said. "Thanks to Paralympic swimming, I have grown as a person, become more confident in my abilities and learned to live outside my comfort zone. It has challenged me, given me an opportunity to see the world and meet people from all over…including my husband. My life has been richer because of it. As a result, I feel it is important to share my experience with others and encourage and inspire the next generation of athletes." "Looking back now I can say the night of my accident I gained more than I lost. My wheelchair has taken me places and opened doors my legs never would have. From my wheelchair I have visited over 20 countries, swam on 6 continents. I’ve wheeled across The Great Wall of China, I’ve met two U. S. Presidents and even had a movie made about my life. I can't wait to see what adventures the next chapter of my life will bring." 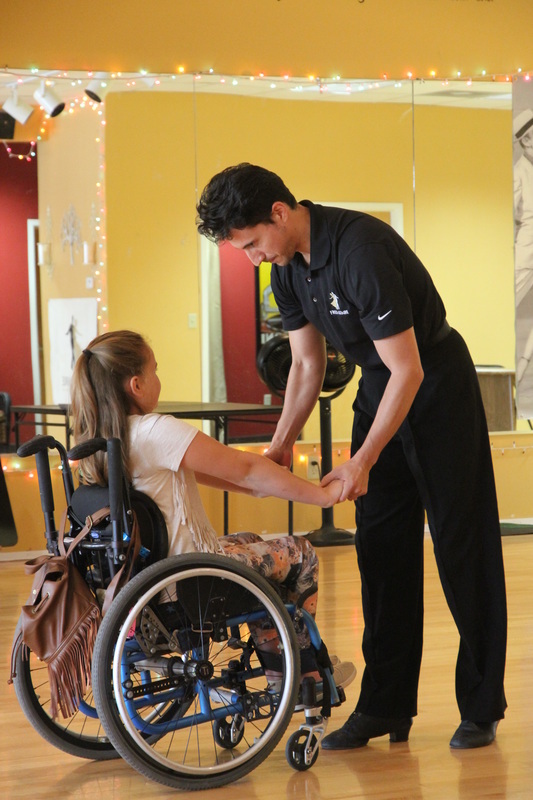 Today Cheryl participates in a much different sport that also involves dedication and allows her to experience the freedom she felt in the pool while in her wheelchair --ballroom dancing. 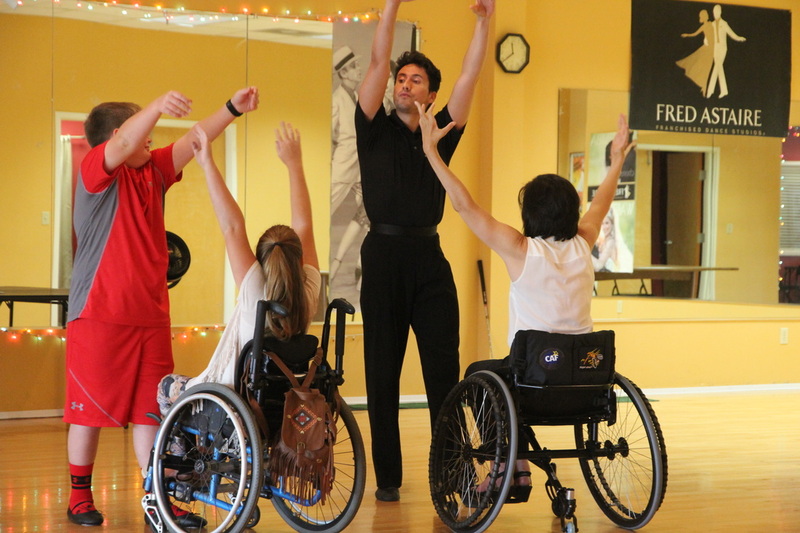 Cheryl says, "I love to dance! There’s nothing quite like losing yourself in the flow of music and movement – or watching others who are doing the same. When I retired from competitive swimming, it left this huge void in my life. Nothing gave me the same excitement or adrenaline rush swimming did until I started wheelchair ballroom dancing. I had never heard of wheelchair dancing before. I had no idea that it was an international competitive sport and has been part of the Paralympics since 1998. It hasn’t gained popularity in Cheryl's home state yet, but Angelelli intends to change that. 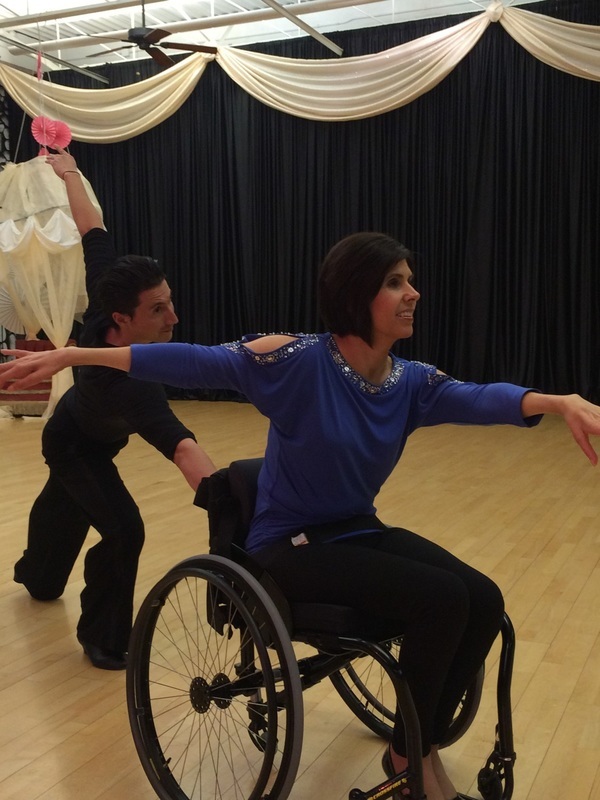 She has been training to perform as a wheelchair dancer since October 2014, but she is also creating opportunities for other individuals in wheelchairs to learn to ballroom dance. 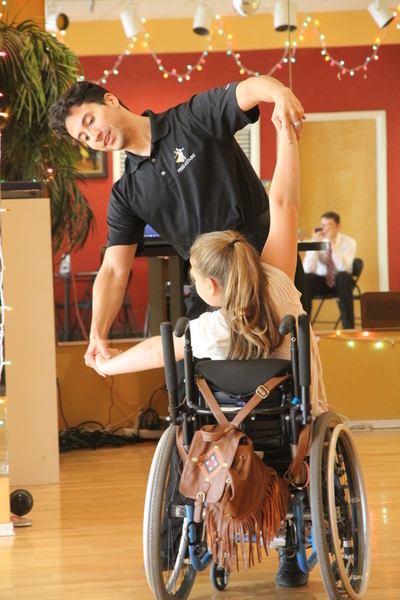 Angelelli’s dance instructor is Sergio Sanchez, a native of Quito, Ecuador who has been dancing since he was 14, competed in ballroom dancing around the world, and wrote his master’s thesis on wheelchair dance. 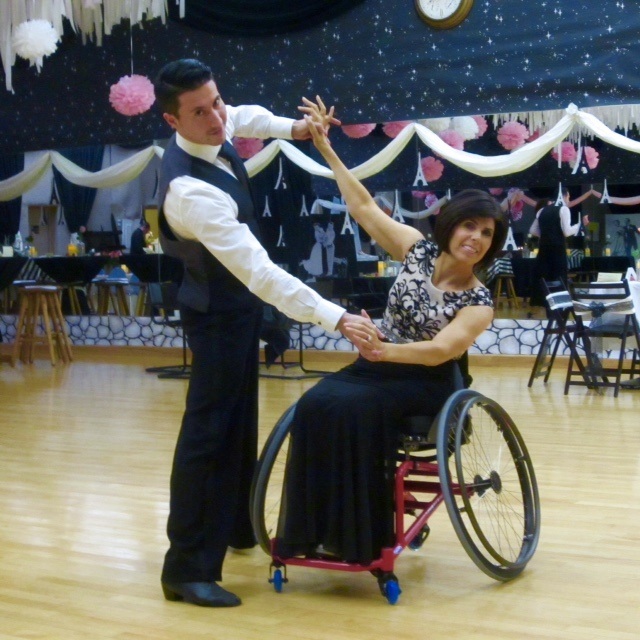 According to Sanchez, it’s not about swinging the wheelchair around the dance floor. It’s an integrated partnership between him and Angelelli, involving trust, choreography and a lot of core strength. 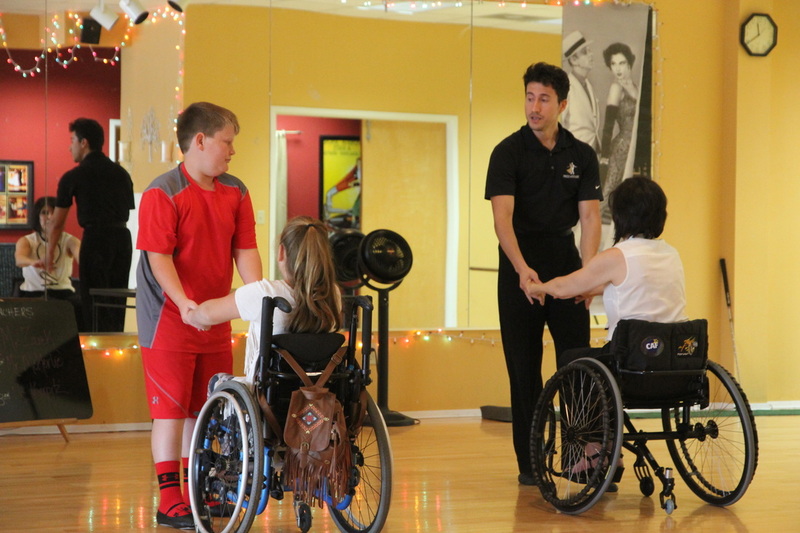 Tomorrow you will learn about Cheryl and Sergio meeting Sadey and Jake at the Fred Astaire Dance Studio in Memphis, helping them prepare for the production of "Cinderella!" All of us know Sadey. We know she always has a smile on her face. We know she does things for herself that are rather difficult without standing. We know she makes good grades. We know she is a girl scout and a great swimmer. We know she doesn't let her wheelchair make her feel sorry for herself. We know all these things. 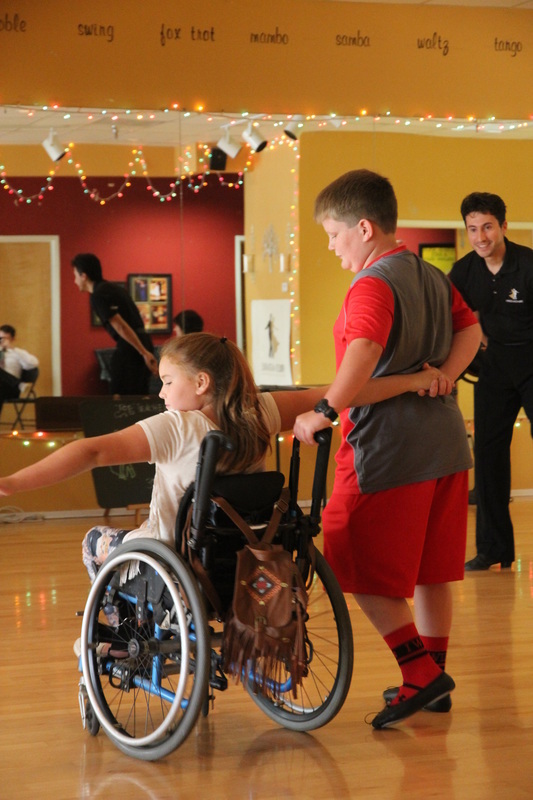 But Sadey has challenges that she handles each and every day that few of us think about. 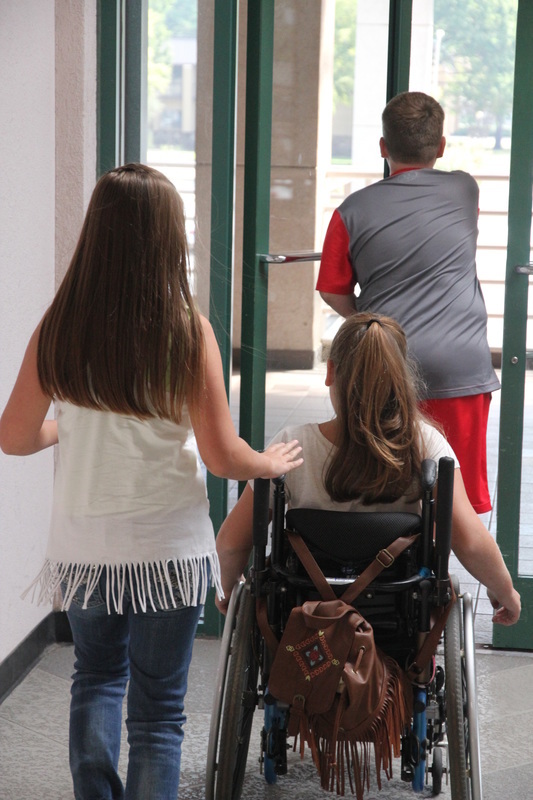 Imagine trying to move your wheelchair around Miss Tara's room or Miss Hesse's or Miss Neely's --talk about difficult... have you seen how cluttered their rooms are???! Last year when we did ballroom dancing in seminar with Miss Hesse, Sadey had to spend most of that time watching, and while I'm pretty sure watching most of you dance was pretty funny at times, Sadey would have loved being out there looking funny dancing too. 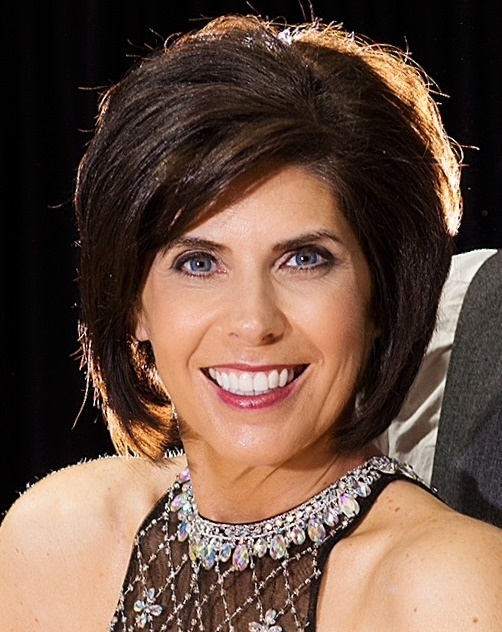 Miss Hesse saw a video of our Face of Creativity, Cheryl Angelelli, doing a ballroom dance with Sergio on Facebook. She sent Cheryl a message, telling her about Sadey. Cheryl quickly sent back a message, asking if she and Sergio could come and work with Sadey and Jake (her dance partner in the upcoming Cinderella play). Sadey and Jake didn't know she was coming --it was a guarded secret. 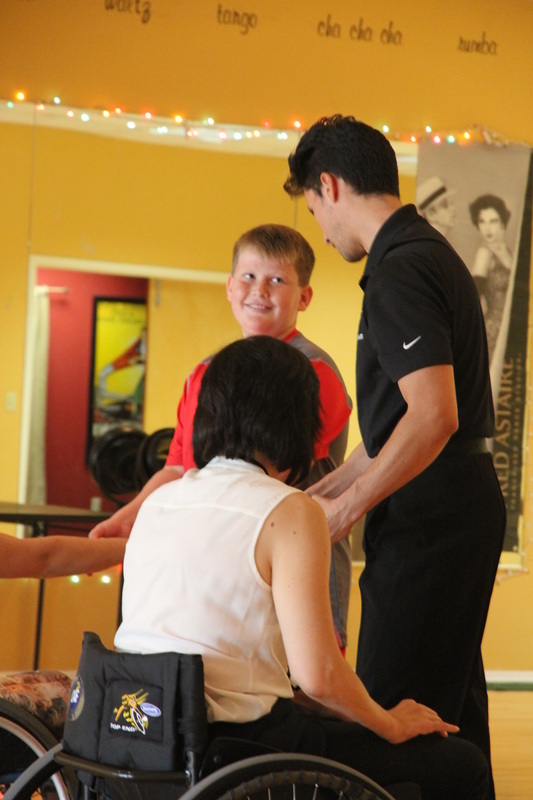 Then on Saturday, September 19th, Sadey and Jake met Cheryl and Sergio at the Fred Astaire Dance Studio in Memphis. Having recently watched the movie about Cheryl's life, they immediately recognized her! Imagine having a world class athlete coming all the way from Detroit, Michigan, just for you! 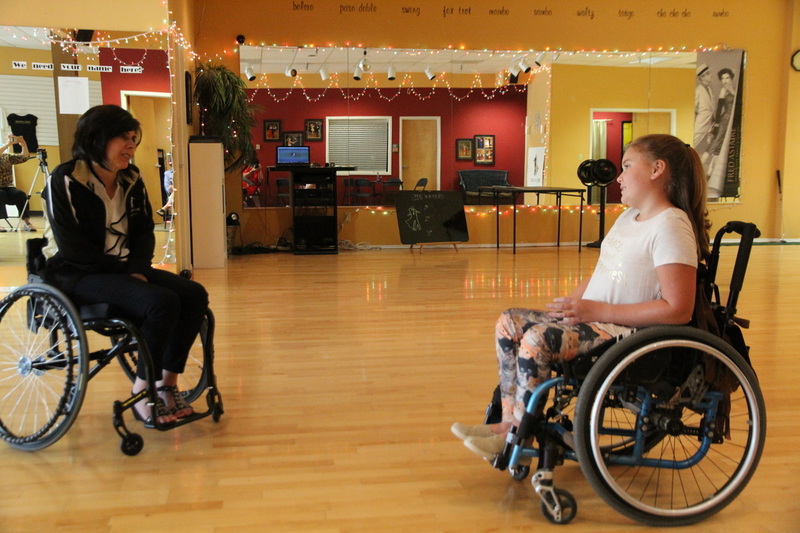 Sadey and Cheryl immediately became friends, sharing a common bond that few fully understand --Cheryl knows what it is like for Sadey to be in a wheelchair. 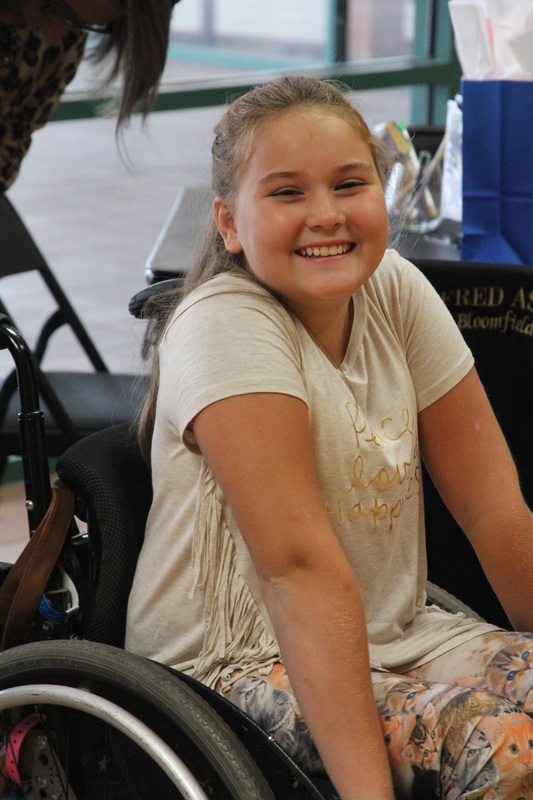 Cheryl was quick to tell Sadey that the wheelchair has not stopped her from having an incredible life! After the practice session, Cheryl gave Sadey something special that you won't easily find. She gave her the new t-shirt for the 2016 Olympic games in Rio deJaneiro! 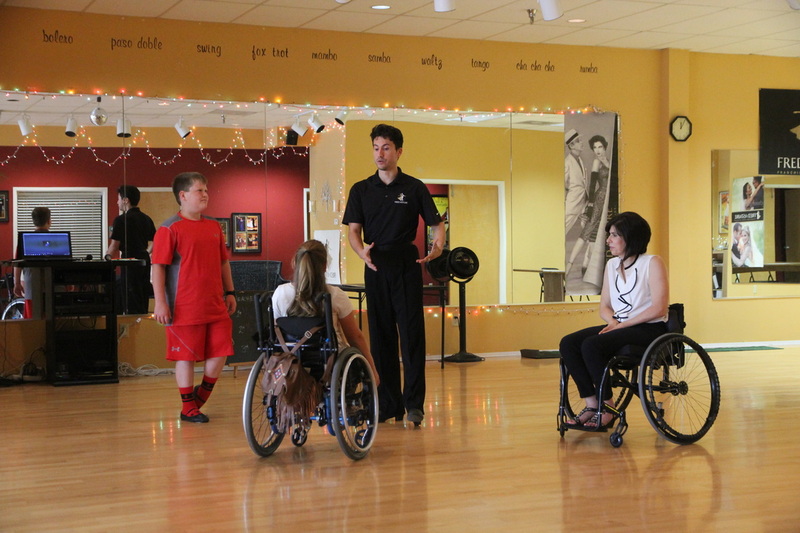 Tomorrow we will learn what it was like for Sadey and Jake to learn from Cheryl and Sergio. Miraculous people and miraculous events open our eyes to possibilities, and the joy and freedom of embracing life! 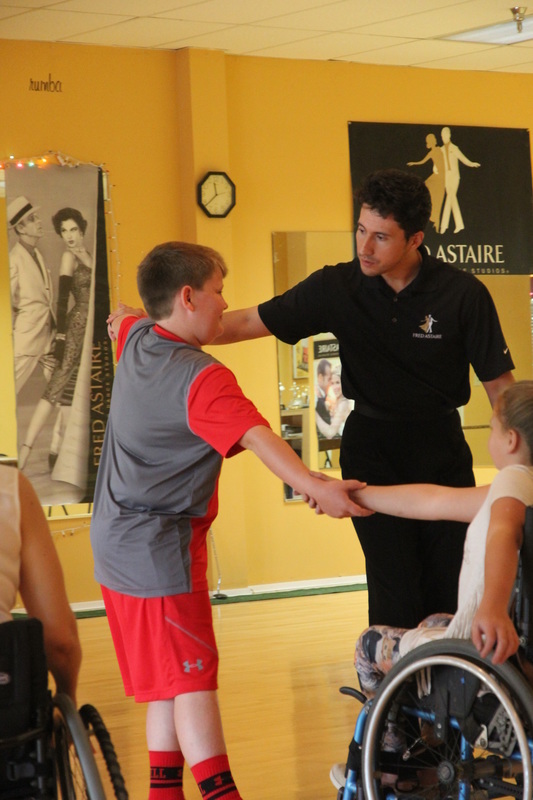 DAY 4: BALLROOM LESSONS --BRING IT ON! 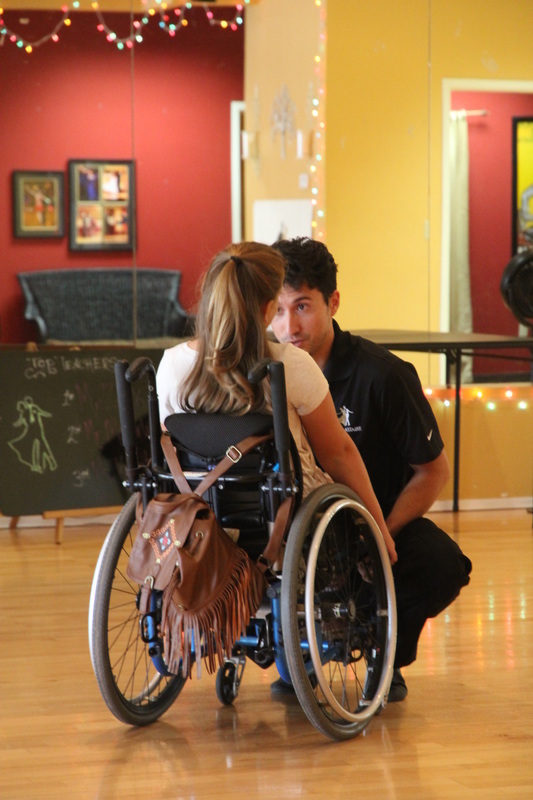 The lesson began with Sadey and Jake watching Cheryl and Sergio performing the dance they specially choreographed for Sadey and Jake. That means they planned the dance moves, chose the music, and worked on the timing of the dance. 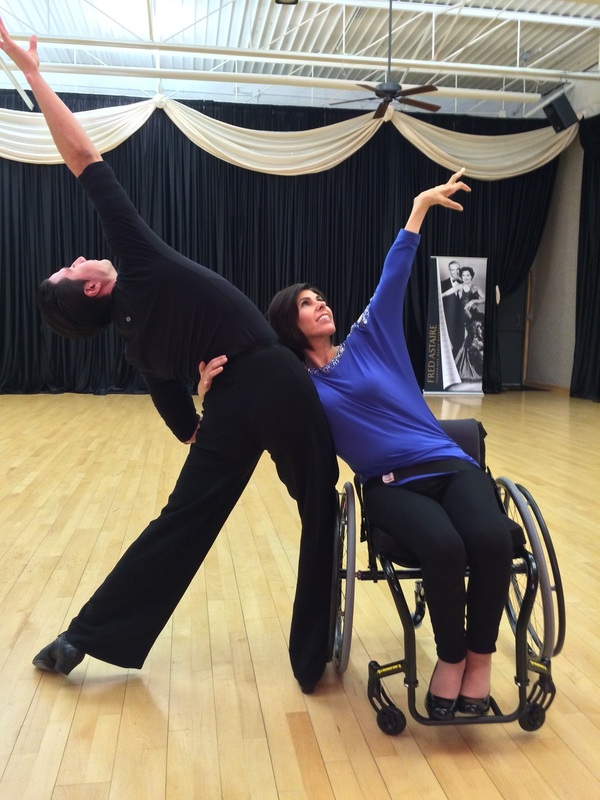 This is what happens in the real world of professional ballroom dancing. When you watch "Dancing with the Stars," you are see a dance routine that was carefully planned out with music that tells the story of the dance. In fact, it is hard to decide sometimes if the dance tells the story of the music or the music tells the story of the dance. 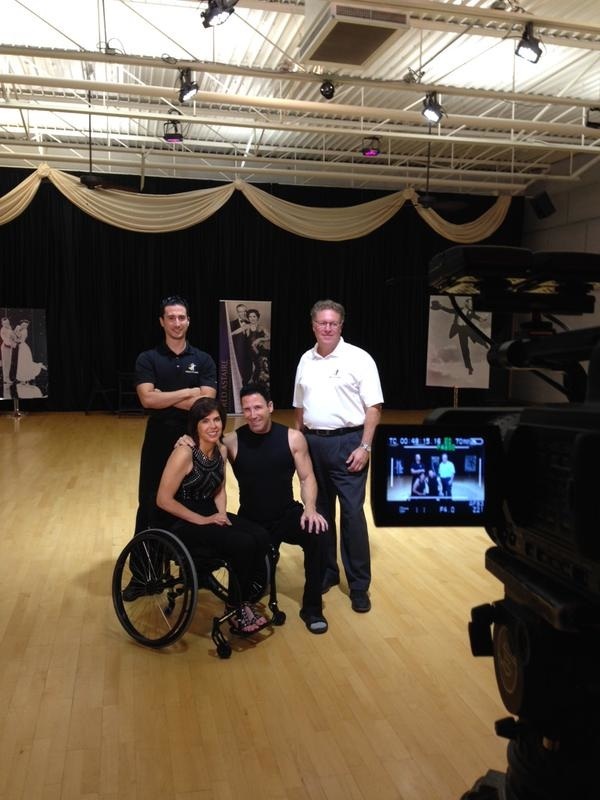 The dance Cheryl and Sergio created was awesome! Now it was Sadey and Jake's turn. 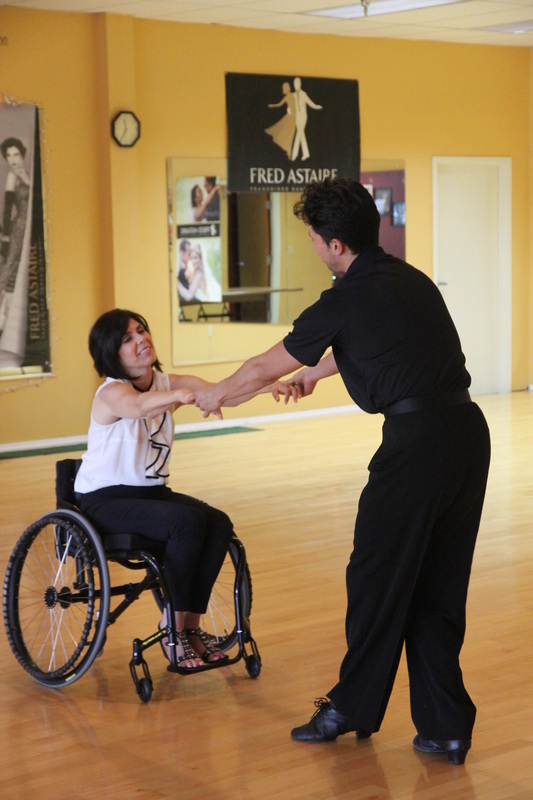 Sergio and Cheryl broke the routine down into small steps. Once they learned the first move, they taught them the next move. Then, they had them do the two moves together. They continued building the dance this way. Once Sadey and Jake knew how to complete a move, the next move was introduced and practiced. 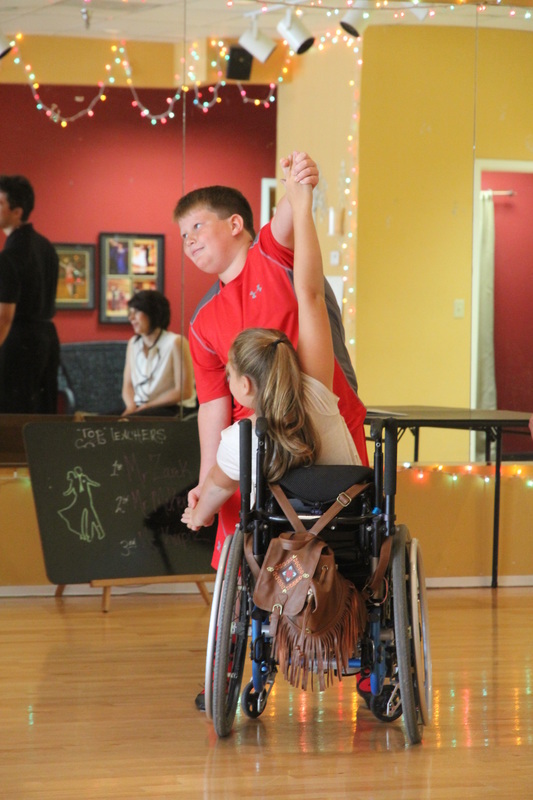 They learned that dancing is about much more than they imagined. It is about using your arms and your hands to become part of the music. It is about using your face to show the emotion of the dance and to connect you with your partner so it is as if ONE, not two people are dancing. Cheryl and Sergio thought it might take three hours for Sadey and Jake to learn the entire routine, but they didn't know that Weiner Elementary kids are super sharp and catch on fast. They also learned that Weiner Elementary kids have fantastic memories and can remember and DO an entire routine in about 40 minutes. They were impressed with both Sadey and Jake. The practice session was videoed so that Sadey and Jake can continue practicing what they learned from Cheryl and Sergio. You can have wonderful teachers, but without practice --all the teaching and learning in the world will not be what it could be. Both Sadey and Jake were kinda nervous when they met Cheryl and Sergio. 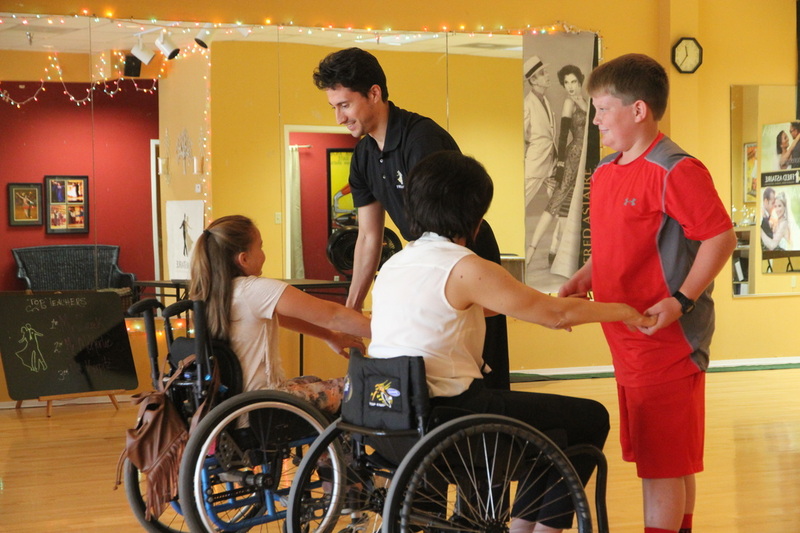 After all, here was a world class Paralympic champion and a world class champion professional dancer, who were here to teach them a skill that was brand new to them. It takes a lot of courage to meet new people for the first time --it takes even more when the new people are as accomplished as Cheryl and Sergio. 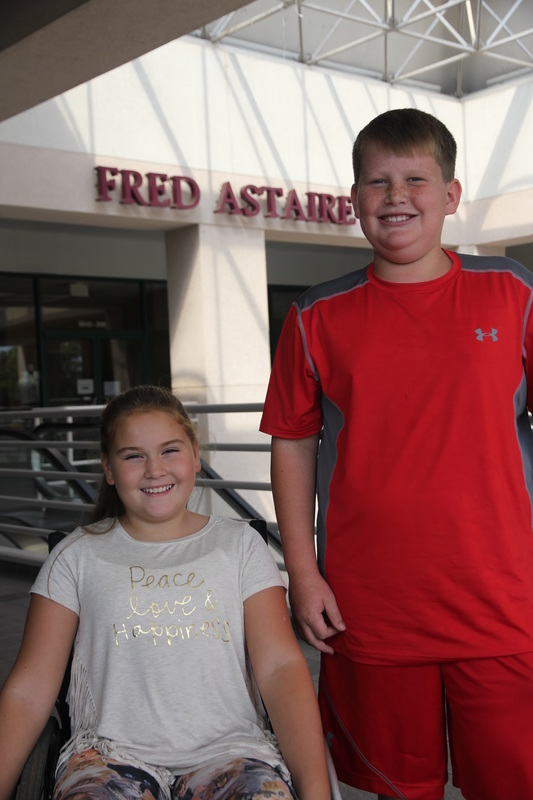 Both Sadey and Jake found the courage that was required, even though they were a little scared. You see, courage doesn't mean you aren't afraid. Courage is doing what you need to do even when you are afraid. Both Sadey and Jake found themselves being positive risk takers that day. Taking a positive risk is being willing to try something new, something you aren't sure you can even do, something that is asking you to let go of embarrassment, to let go of fear, and reach out to something that is just out of your reach. Being a positive risk taker requires courage, but it grows you --making you better than you were before. Taking a positive risk teaches you that you are capable of more than you ever imagined. Sadey took a risk, trusting that when Jake spins her, he will be there to stop her. 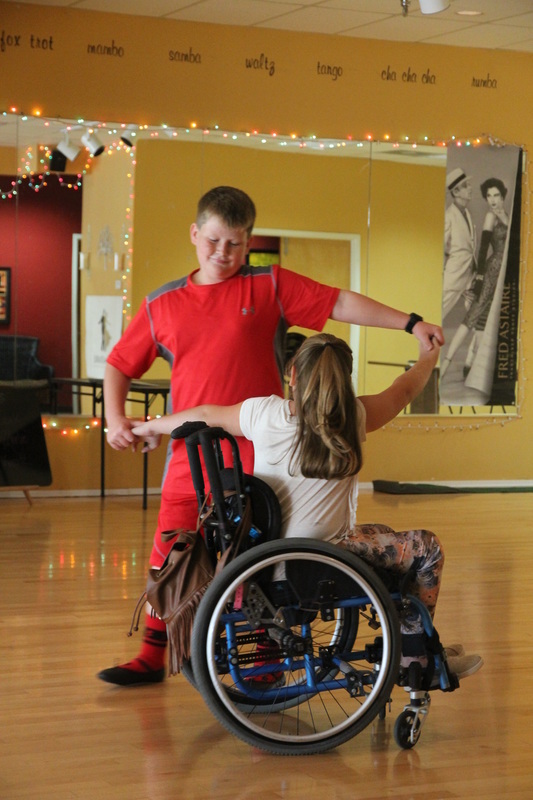 She took a risk believing that, even though she was in a wheelchair, today would be different --today, she would finally learn to dance. Jake took a risk that many boys would have said "NO" to. 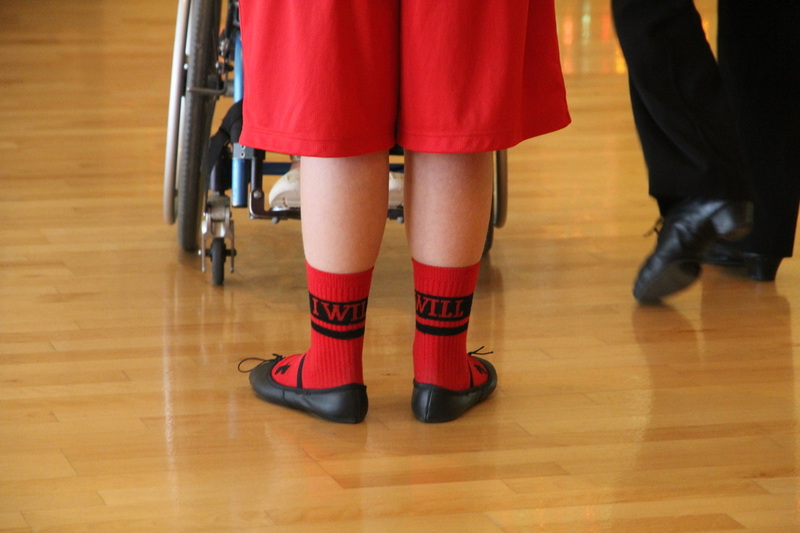 He needed to wear dance shoes so that his feet wouldn't grip the floor --he had to be able to move smoothly. He even joked about what he called his "girl shoes." But, he put them on and showed that worrying about how something may look to others robs you of memorable opportunities and a lot of fun. Imagine! Jake and Sadey's courage helped them ignore being embarrassed and worrying about what to say --it helped them to grab hold of an opportunity that you and I will probably never have. Sadey and Jake learned from, and made friends with two very famous people. They came to know two incredible individuals who demonstrate creativity at it's highest form --serving others.